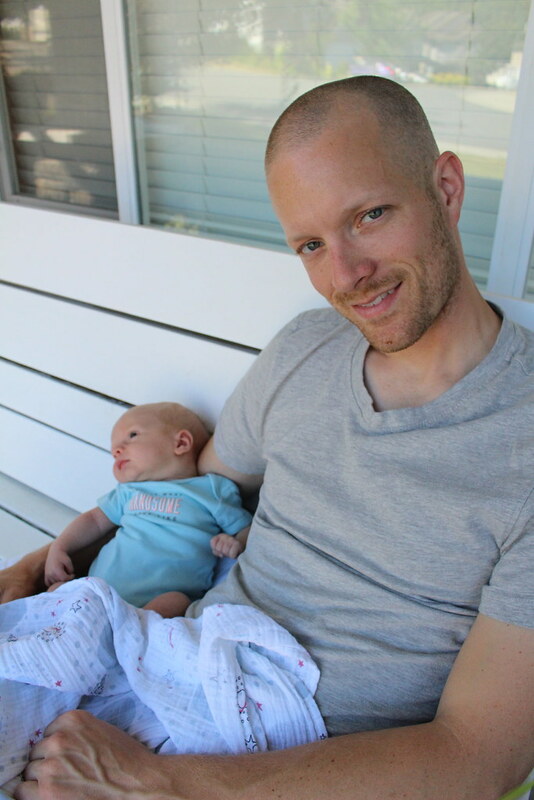 Well, it seems that since Nolan arrived I've jumped back on the blogging bandwagon. I'm not sure how often I'll actually be blogging, but I hope to share a lot more of what we're up to this year. We really have accomplished a lot, I've just slacked on sharing it. This was the year! Two years after buying and moving into our home, we decided that we needed to step up our garden game! 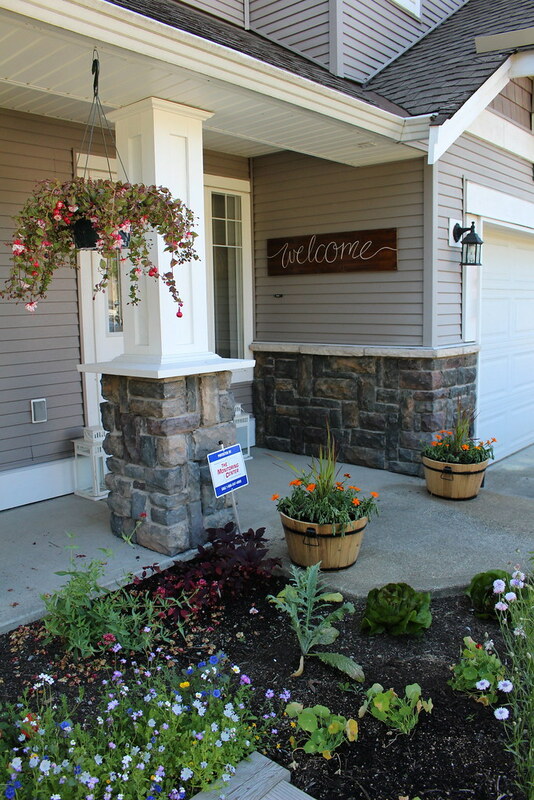 B ripped out the four rhododendron bushes by the front porch, removed the red lava rock and expanded our garden space. 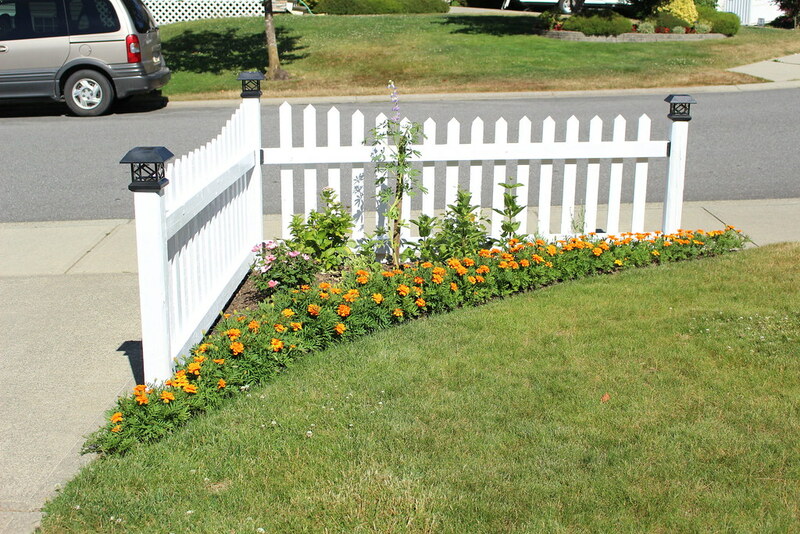 We wanted it to be pretty, but still functional, so we have a nice mix of pretty flowers, and edible plants as well. The "Welcome" sign, I made last year. The wood is a piece of pine we bought at ReStore for $3. I stained it using leftover stain from our dining table, then hand painted the letters. We sealed the sign with a spray poly just to ensure it wouldn't suffer too much from the elements (even though it's under an overhang). The wood planters we bought at a local farm store last year and B put in some decorative grass he bought at our Farmer's Market, along with some marigolds. Our hanging baskets we bought on Mother's Day at a sale that was being held by the local Cub Scouts. We just couldn't pass them up. 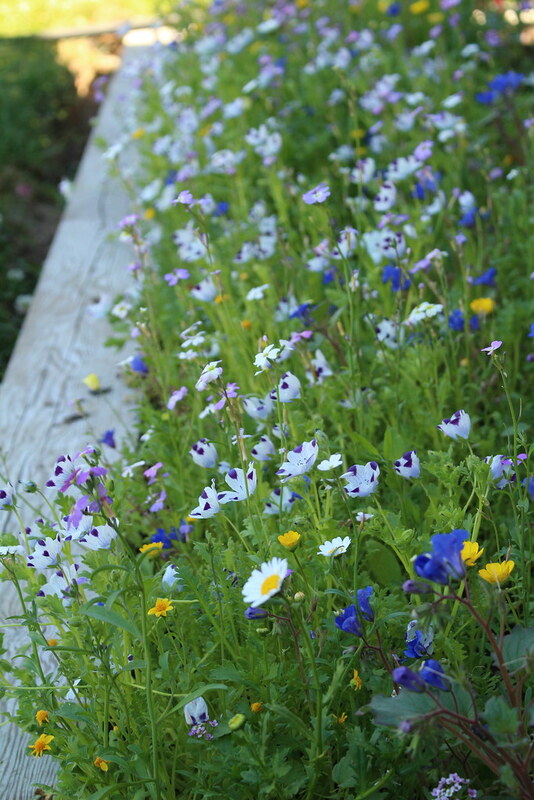 I love our wildflowers that B planted right at the front of the garden. They are all so tiny and pretty and add so much colour! 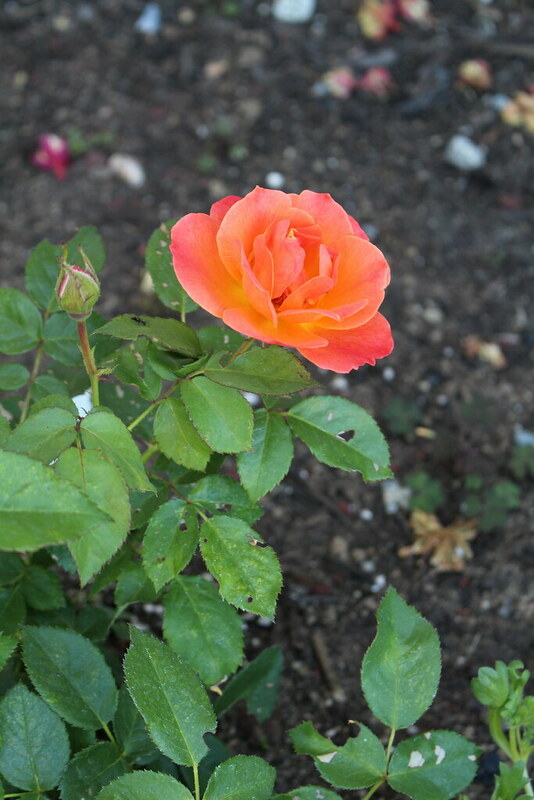 This rose bush was only planted the other week. B's Dad bought it for us from our farmer's market. It probably won't stay in this garden forever, as we are learning what works where and how everything goes. I just couldn't resist this colour though! It's so vibrant. 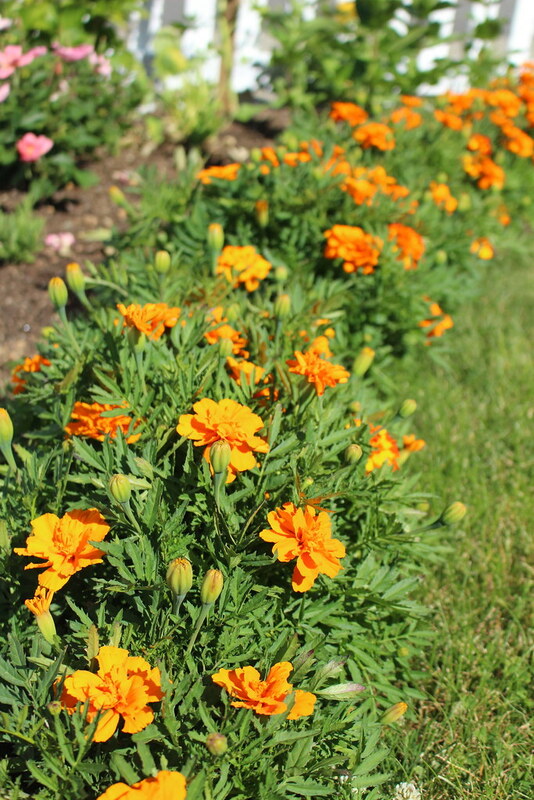 We have tons of marigolds (lots more in the yard) as B saved all of the heads from last years flowers for seeds. B used a bunch to edge this garden and they add some nice colour. 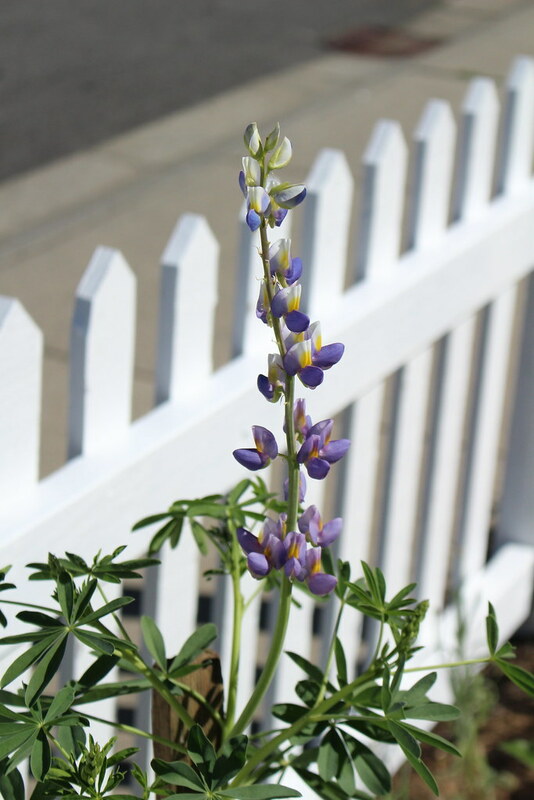 This lupin is the center of our little corner garden and it's so beautiful. The colour and flowers are so unique and are apparently edible. We'll need to do a bit more research on harvesting and cooking before we do anything. From what I understand, we will want to soak them for a while before we eat them. It's definitely coming along nicely out there! 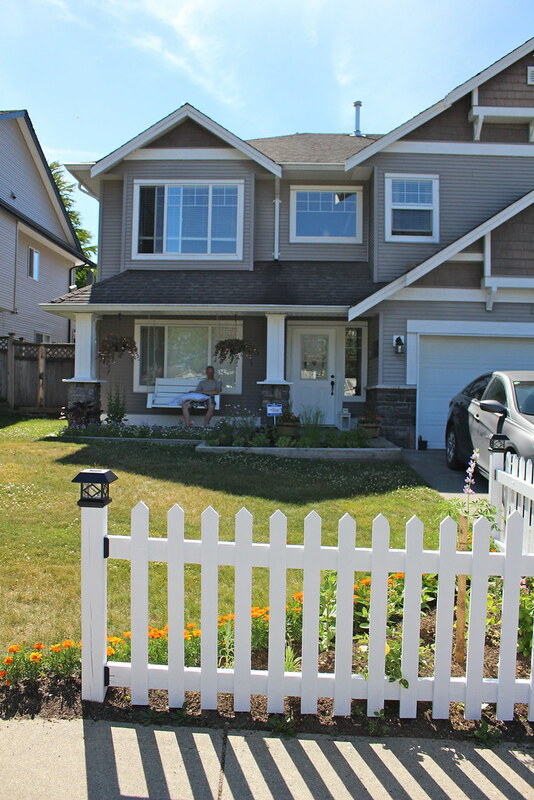 A big improvement from our once barren front lawn. Now if only we could get a little bit of rain out here to keep our grass looking green... yup, serious lack of rain on the so-called "wet coast". We have water restrictions in place already and fire bans in place too - not so good for camping season. 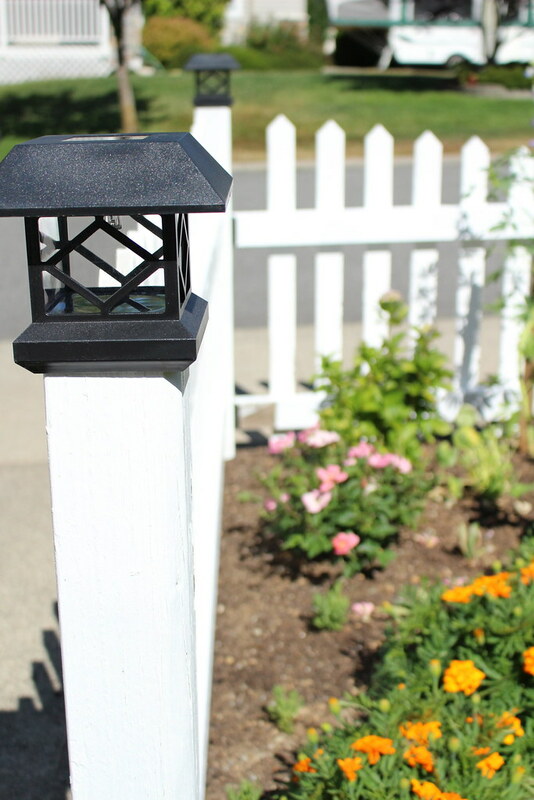 Has anyone else been working on their gardens this season? Trying new plants or layouts? 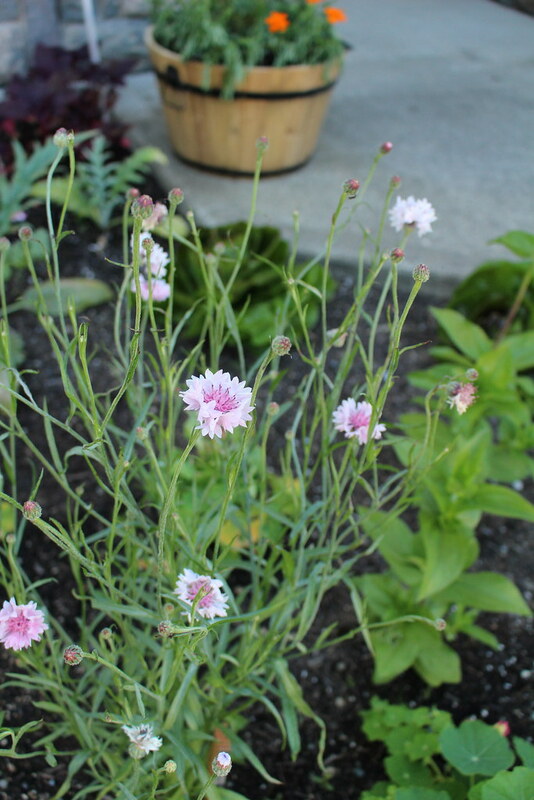 What are some of your favourite flowers or edible plants? More Baby Moments & A Winner!! 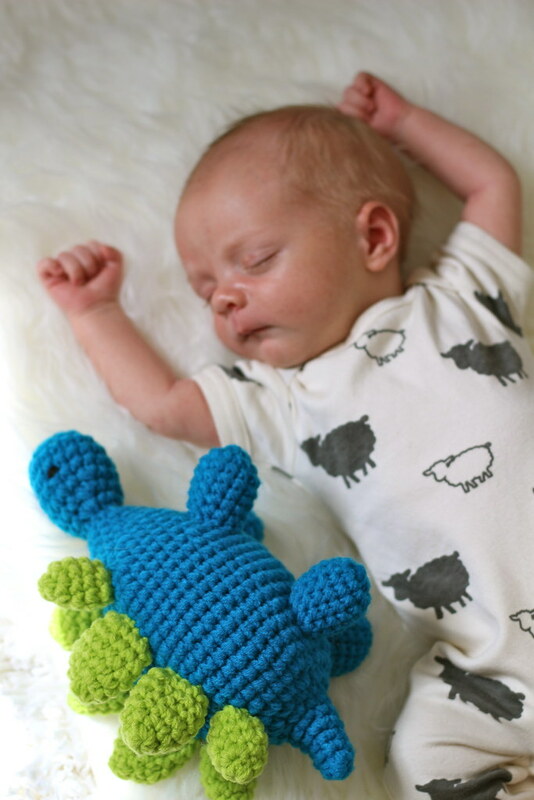 I hope you all caught last Wednesday's post... because if you missed it, you not only missed out on some cute pictures of Nolan and great tips for capturing your wee one's at home, but you missed a really great giveaway! I'll get to the winner of the Canon Selphy CP910 photo printer shortly, but I wanted to share some more tips and photos first! As I mentioned last week, Canon Canada has a wonderful app called Baby Moments, that is full of all kinds of wonderful, easy to follow tips and tutorials to help you capture better photos of your little ones. Last week I talked a bit about the importance of lighting to capture great photos, and this week I have a couple different tutorials I attempted to capture that I want to share. 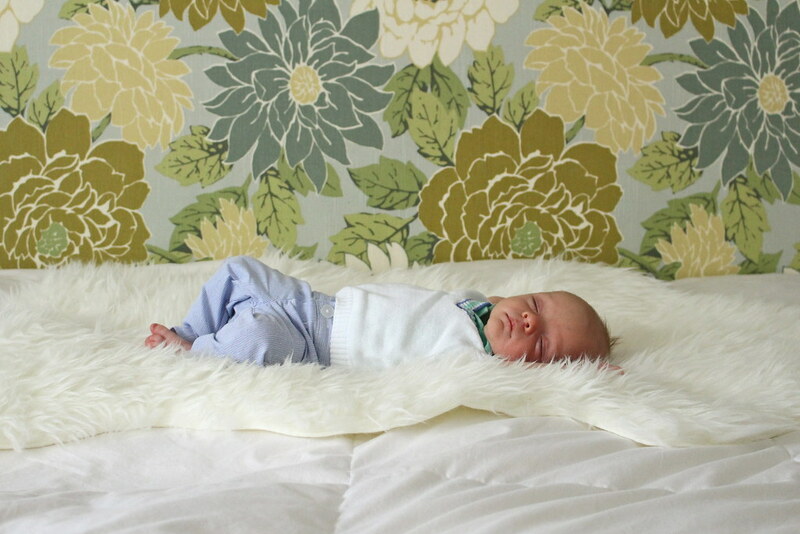 The #BabyMoments app has a section that is broken down into tips for great photos to capture based on your baby's age. In the 0-3 section, one of the tutorials is for attempting a fun scene of your baby, staged from above. 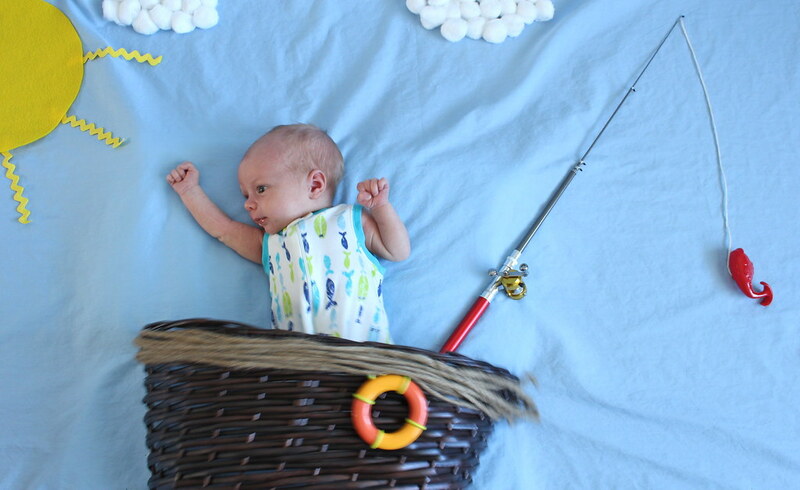 I decided to try it out for myself, making a fun fishing scene for Nolan. I set the scene in our dining room, where we have the largest windows, and took the pictures mid afternoon when the sun wasn't too bright or harsh. I then laid out my scene using a blue bed sheet, a sun made from yellow felt and rick rack, cotton ball clouds and a halved basket for the boat (B's Mom helped me out with this part). Then, B helped by wrapping some rope around the top of the basket and we added a little life saver from Halle's bath toys. The most important prop (other than Nolan) was a tiny fishing rod B had, and a toy fish from Halle's bath toys. Despite having the perfect scene set, we were lacking a baby who wanted to stay asleep. I attempted to nurse him and settle him to sleep more than once, but it's much harder when they are past the one week mark. I was so close to capturing the perfect shot of him, but he startled himself in his sleep, causing him to kick the basket and wake up fully. 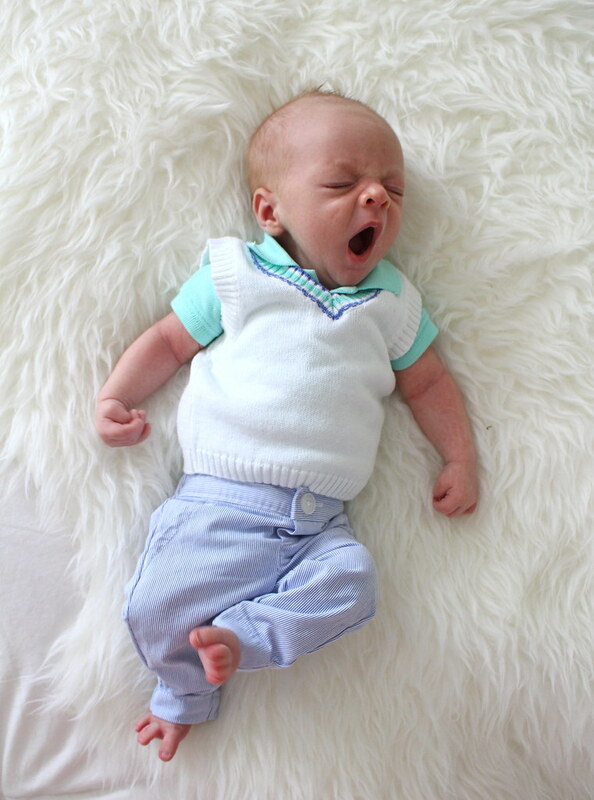 My added tips here, try when Baby is very little and sleepy and maybe include a white noise machine into the mix. 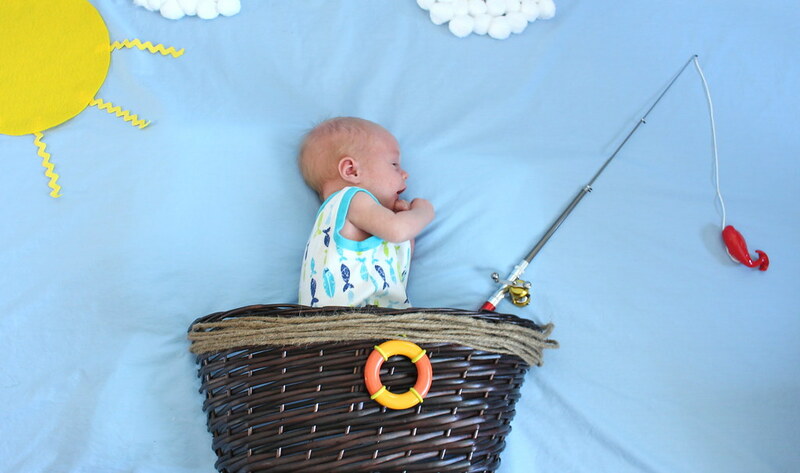 Regardless of Nolan's inability to stay sleeping, I wanted to share the two best photos I captured, using my Canon Rebel SL1. Now, before I get to our winner I need to say I was thrilled to take part in this with Canon Canada. Not only has Canon always been my camera of choice, but I think it's so important to capture all the stages of our little one's growing up. 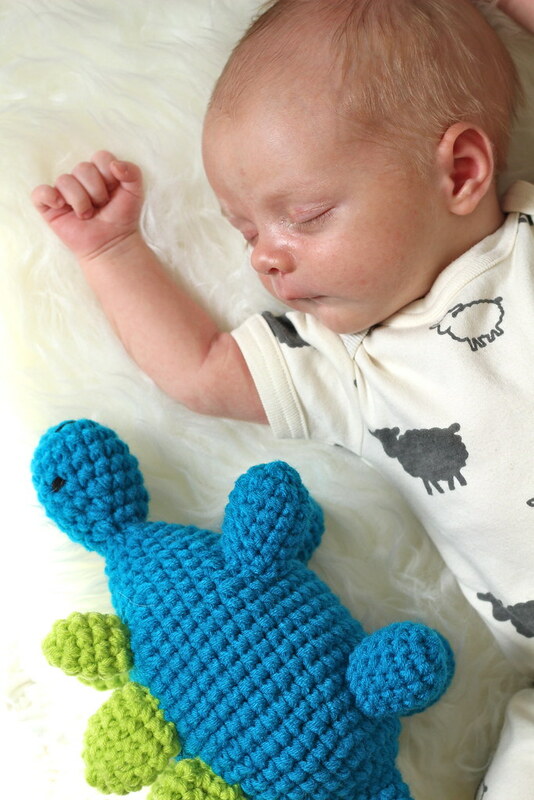 Sharing these tutorials with you really pushed me to capture some different and sweet photos of our little man. I know I will definitely continue to use the tips from the #BabyMoments app to capture special moments of Nolan as he grows, and of his sister as well! The winner of our giveaway was selected using random.org... and the lucky number was 12! That makes Linds our giveaway winner!! Lindsey, please shoot me an email so I can make sure your prize is sent to you! Thank you to everyone who stopped by and entered, and congrats to our winner!! 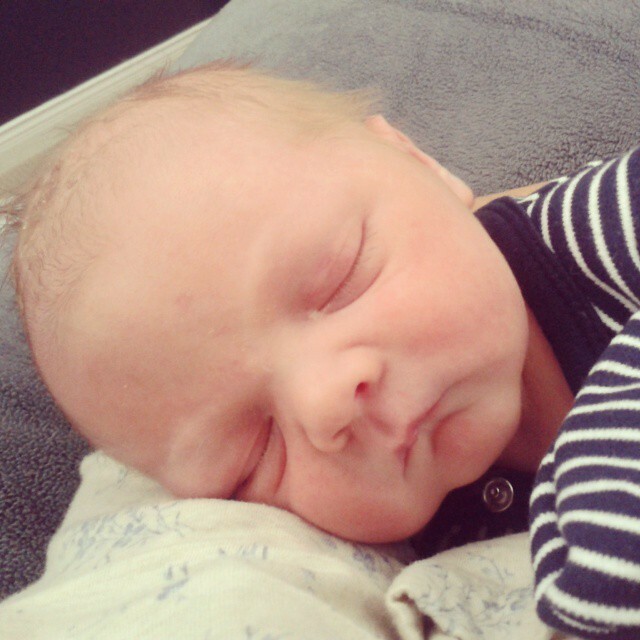 Well, May was a very exciting month in our household... and not just because of Nolan's arrival! The weekend after our little dude arrived, B and Halle went out for a drive to take a look at a trailer. 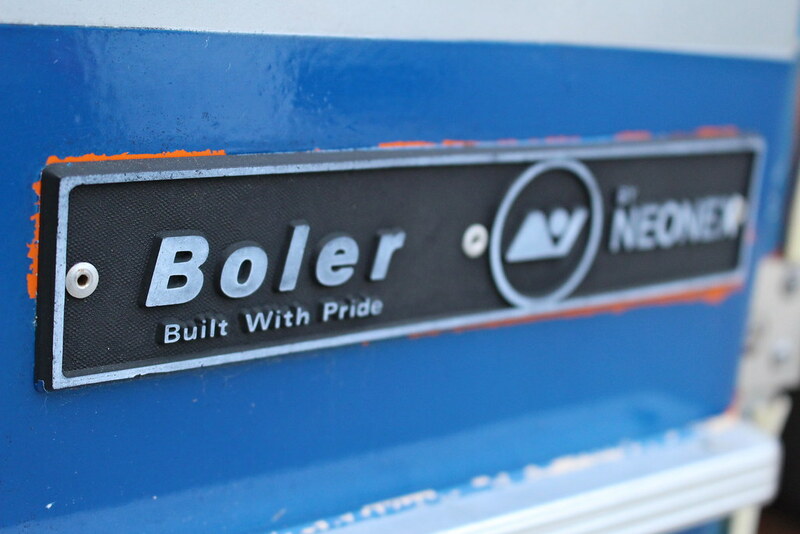 They came home several hours later with a cute 17', 1979 Boler travel trailer. According to B, he knew they'd be bringing it home when they showed up to look at it and Halle exclaimed "Oh Daddy, it's beautiful!". 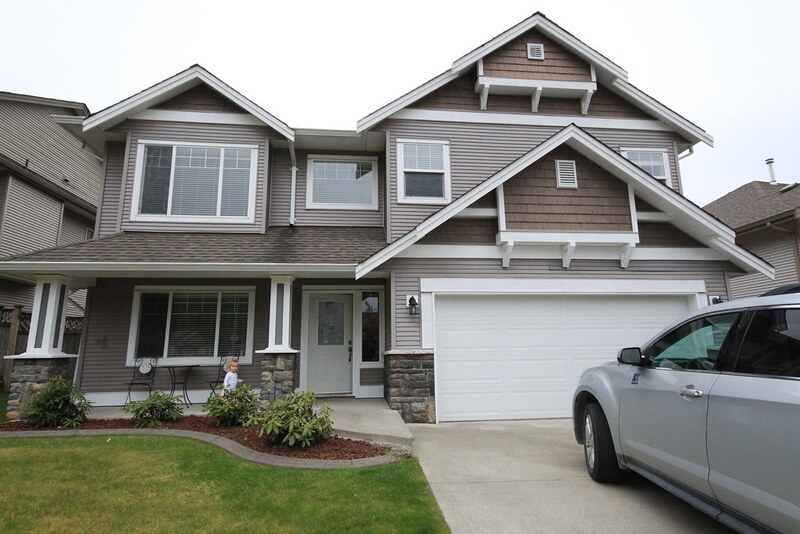 Sure enough, it now resides at our home, eagerly awaiting all of the summer fun that we have planned for it. We figured something like this would make it much easier to get out camping this summer with our little guy. 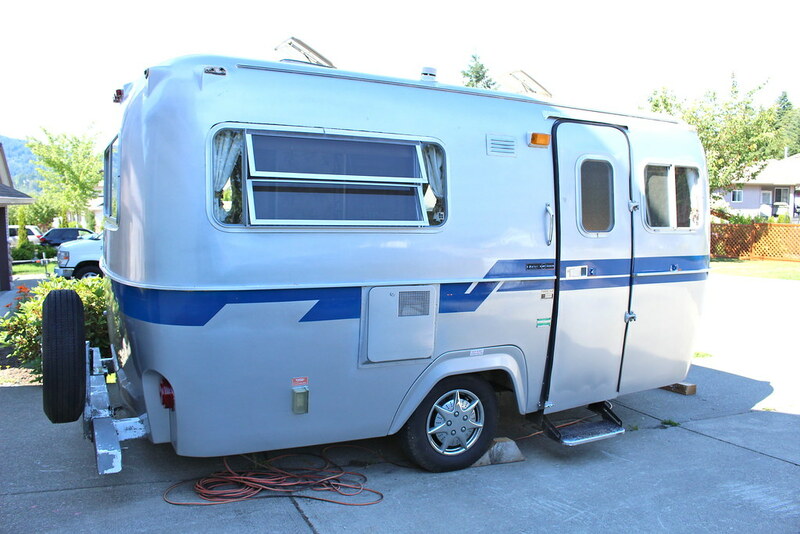 Since we hope to be able to travel far and wide with our little family in the coming years, B had been on the hunt for a trailer that would work for us. 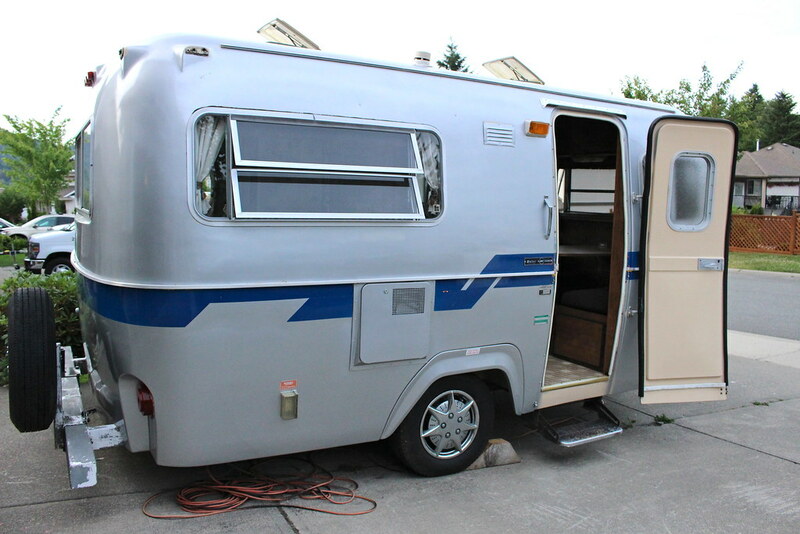 We needed something comfortable, roomy enough for the 4 of us, and the dogs, and it had to be lightweight so that we could pull it with B's vehicle. 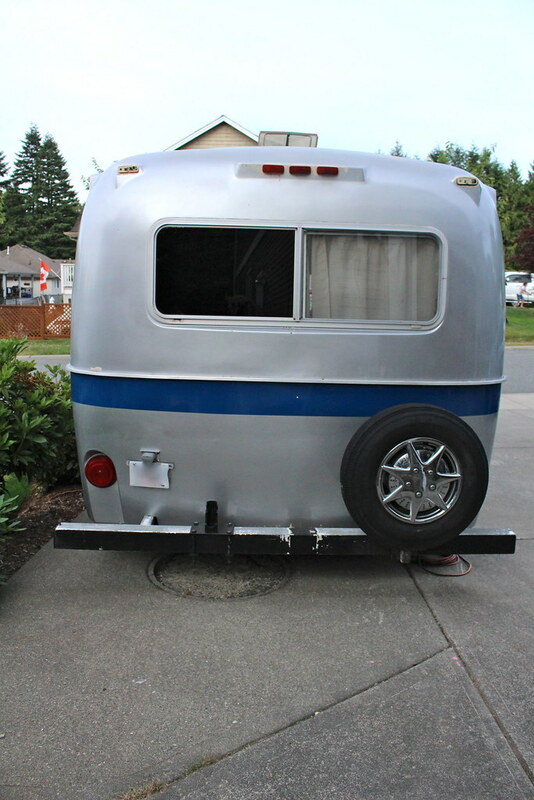 This cute little Boler checked all of the boxes. 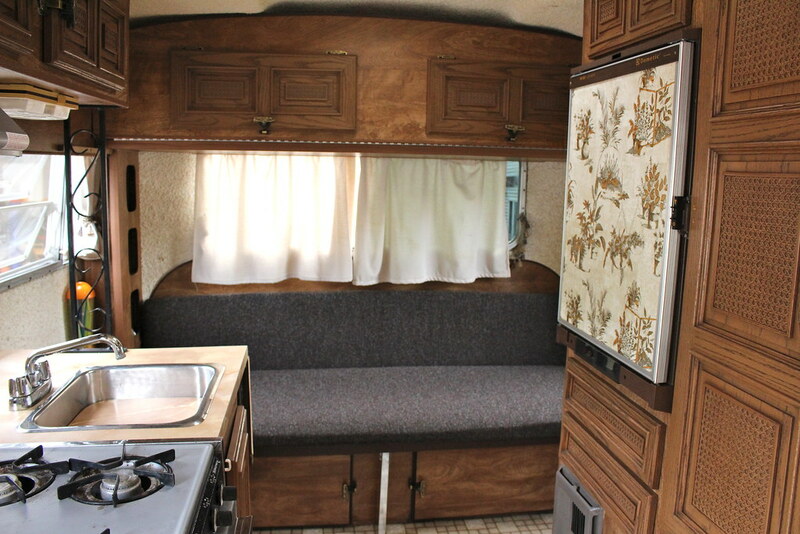 Upon entering the trailer, you'll find our little dinette to the right. It all folds down into a double size bed, which will become a spot for B and I to snooze. 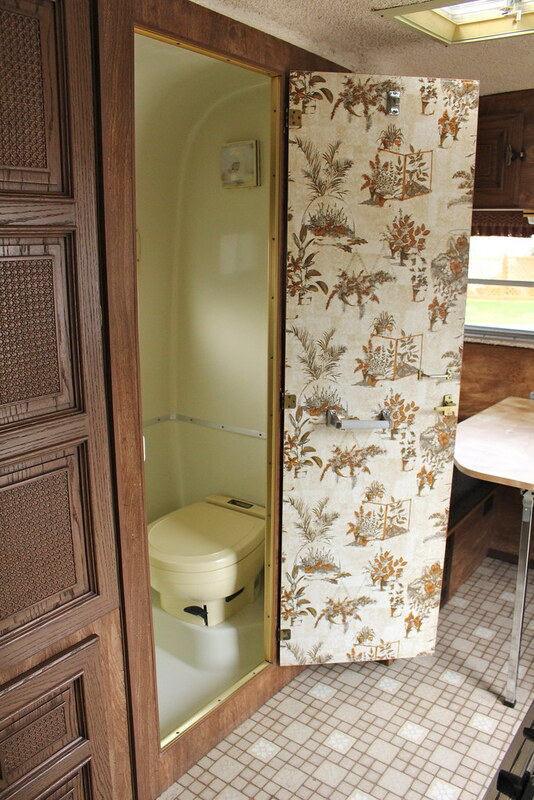 There is a ton of storage around that area, and it seems that the previous owner got some new foam and upholstery fabric for the seating fairly recently. It's really comfortable and in awesome condition! Beside the dinette is a small washroom with a toilet and shower. 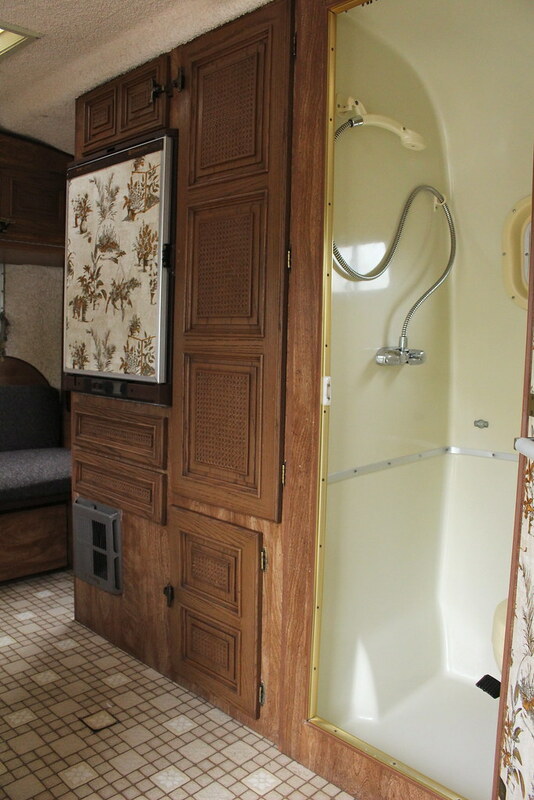 There is a small hot water tank in the trailer, so when we're camping somewhere without showers (like our island camping trip last summer), we'll all still be able to wash up easily. Plus, using the toilet at night will be much easier. Next to the washroom in more storage and a small fridge. Under the fridge you can also see the small vent for our heater. Perfect for cool nights and fall or spring camping trips! 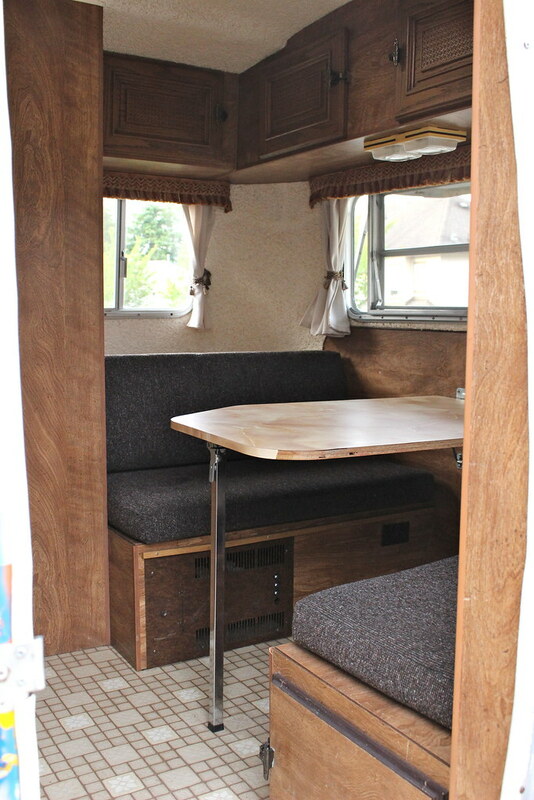 Along the back is more seating that folds out into a double bed. The cupboard above can fold out to make it a bunk, but it wouldn't hold much more than our almost 4 year old girl. We'll probably make some big changes to that area in the future! 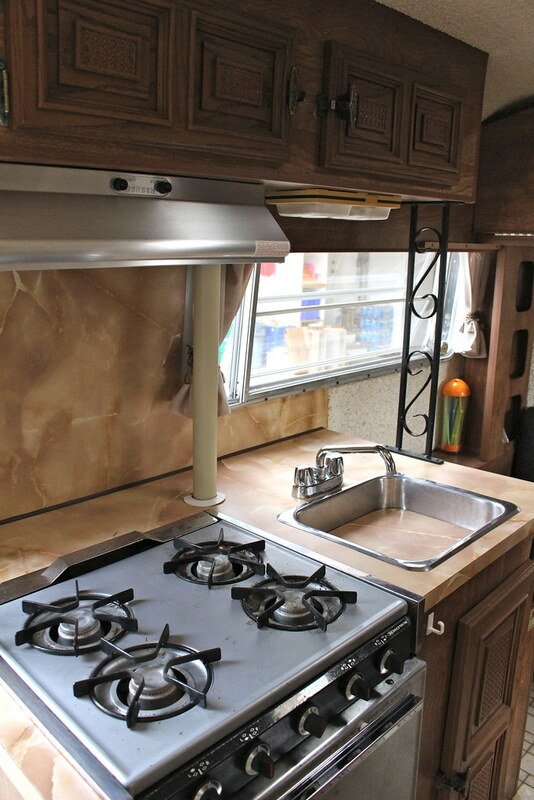 We also have a great little kitchen with lots of storage, a stove and oven and little sink. Perfect for rainy days or cooking when there is a fire ban. I have a feeling that the latter is something we will experience quite a bit of during this hot dry summer they are predicting for us. 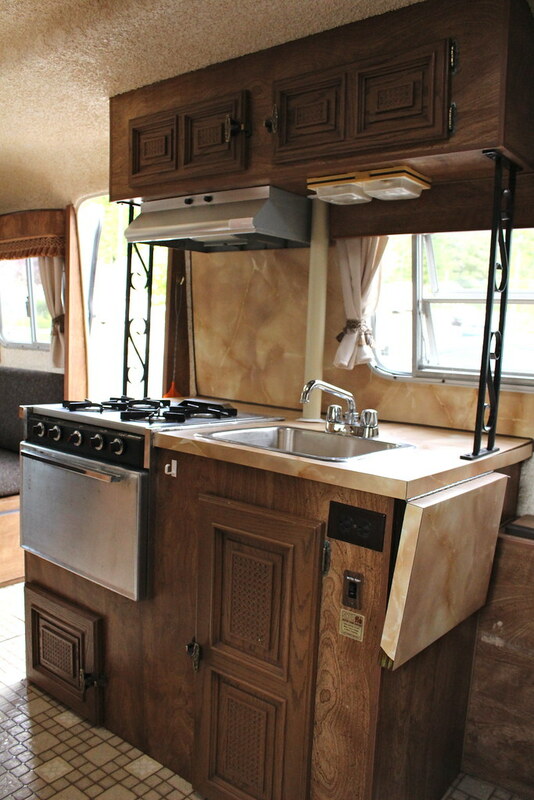 So that's your first look at our little home on wheels! 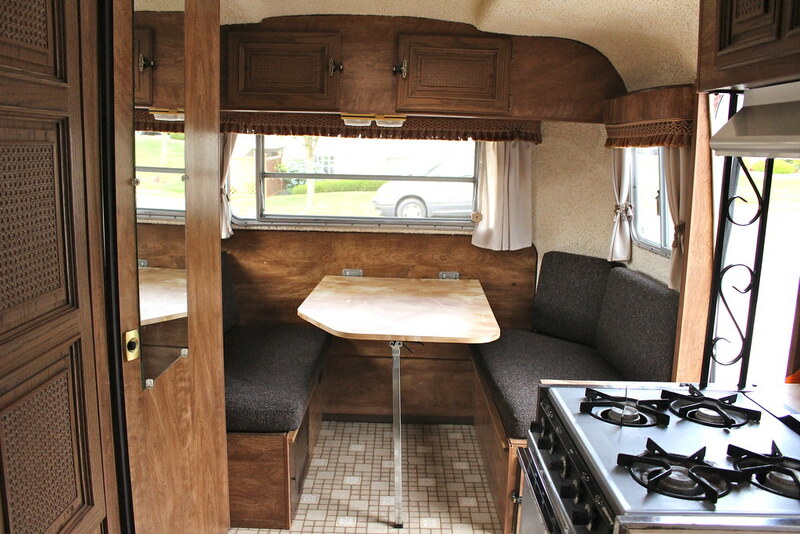 I can't wait to share all of the trips we will take in this thing, as well as the inevitable transformation of the interior! Anyone have any camping trips planned for this summer? 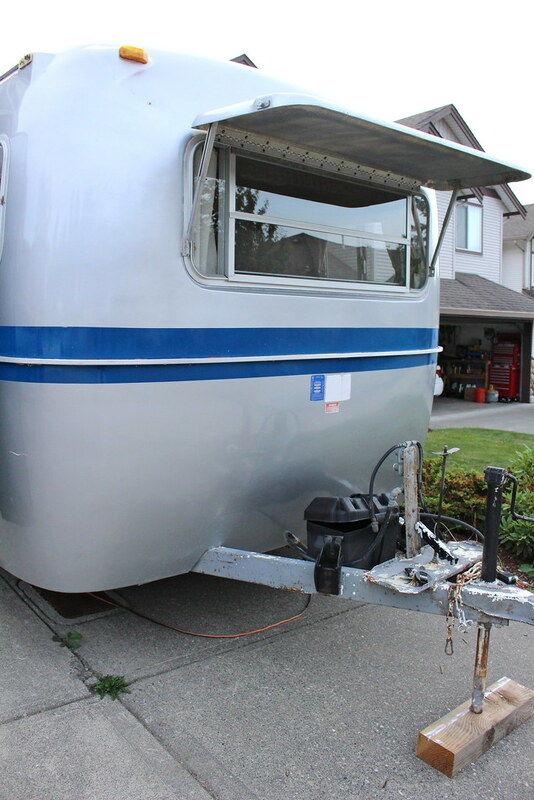 Any glampers out there, or planned transformations of vintage trailers - I'll take all of the inspiration I can get at this point! If you are a parent, you know how quickly time passes with our little one's. 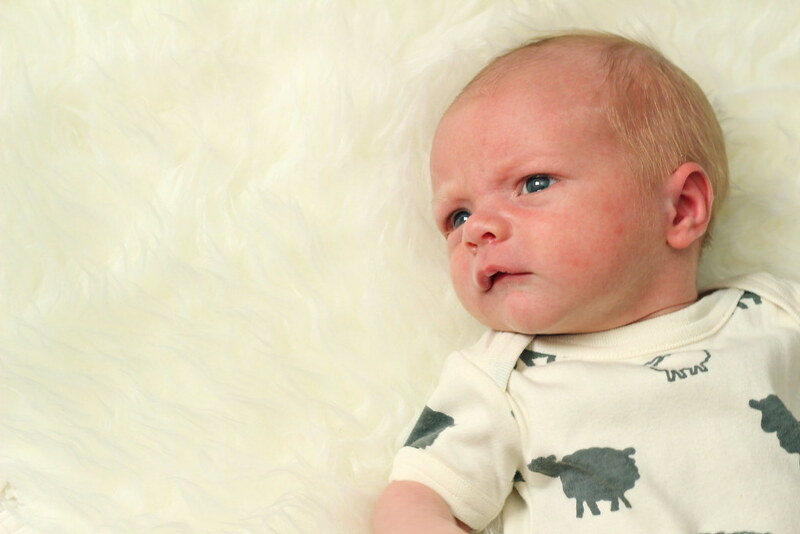 I mean, Nolan is already almost 4 weeks old. How has he been here that long? Before I know it he'll be smiling, crawling, walking.... going off to college! With how quickly time flies, I find it so important to capture as many of these priceless baby moments as possible... and I already know I haven't been as good about it as I was with Halle (the curse of being the second born, right?). So, I have partnered up with Canon Canada to share some tips and tricks from their Baby Moments page to help you capture better photos of your wee ones! This page has some really great video tutorials that are super easy to follow. I have always found lighting to be the most important factor when taking photos in your home. 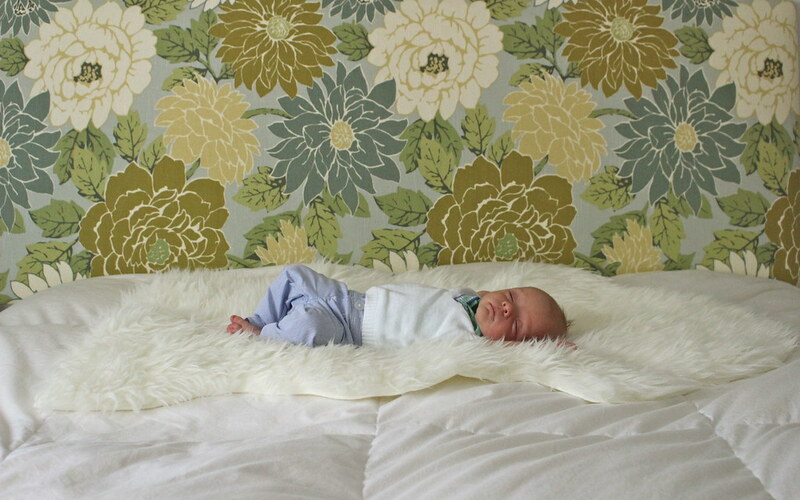 For these photos of our sweet boy, I put him into our favourite neutral organic sleeper and after nursing him to sleep, I laid him down on the faux sheepskin rug for some texture (and his comfort). Though the window in his room is not big, it lets in some great light. I just made sure not to take his photos when the sun was shining directly in the window, to avoid strange shadows and harsh light. I'm really happy with how they turned out. 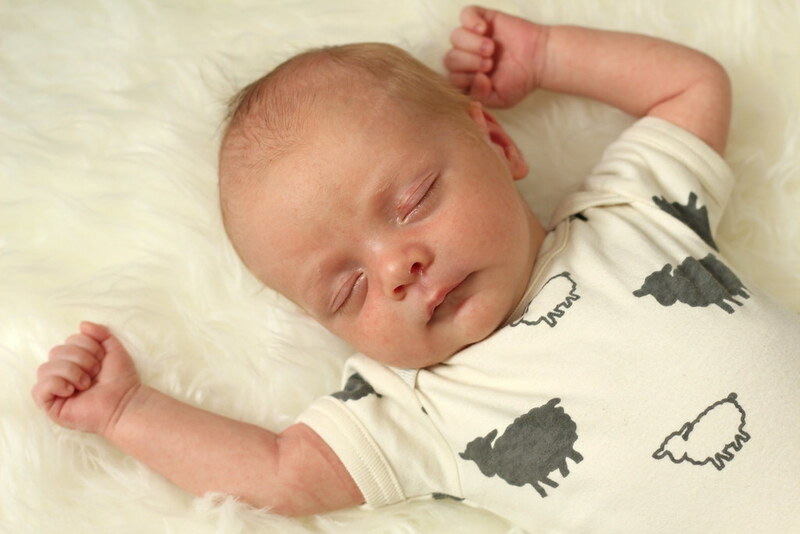 With Nolan being just out of that sleepy newborn stage, but still wanting to be held all of the time, I was lucky to be able to snap just a few photos of this guy on my new Canon Rebel SL1, before he woke up again. This camera is great for capturing all of those #BabyMoments, whether at home or on the go. It's the lightest and smallest SLR on the market - making it easy to take anywhere, including that already too full diaper bag! Now, as great as it is that we are all going to be able to step up our photography of our little one's - it's also important to remember to get your pictures printed so you can display them around your home! Well, Canon Canada wants to help make sure that happens. We're giving away a Canon Selphy CP910 photo printer to one of my lucky readers (sorry US readers, this one is restricted to Canadians only)! 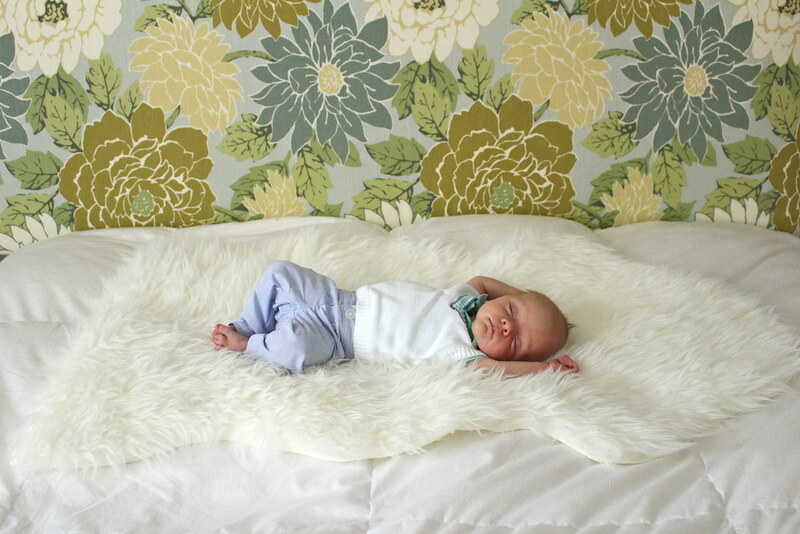 Make sure to leave a comment below with some of those special #BabyMoments you want to, or have captured and printed! Make sure to come back on Monday to find out who the lucky winner is... and to see some more special #BabyMoments that I've captured of Nolan! I imagine most people who read this blog, also follow me on Instagram. 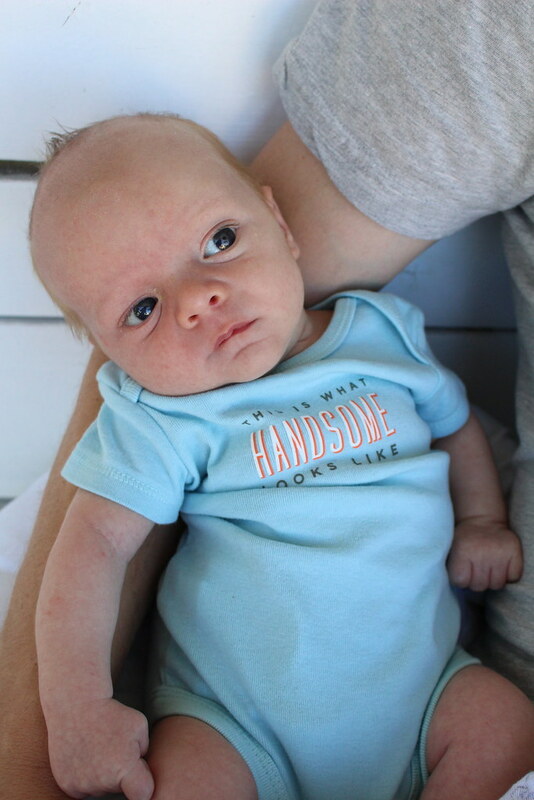 If that's the case, then you probably know that our little man made a quick arrival on May 21st, right here in our home. Nope, it was not because he arrived quickly, but because I planned for a home birth with him. I did a lot of research prior to making my decision and knew it was right for me and my family. If you have any questions, feel free to email me or leave a comment below. 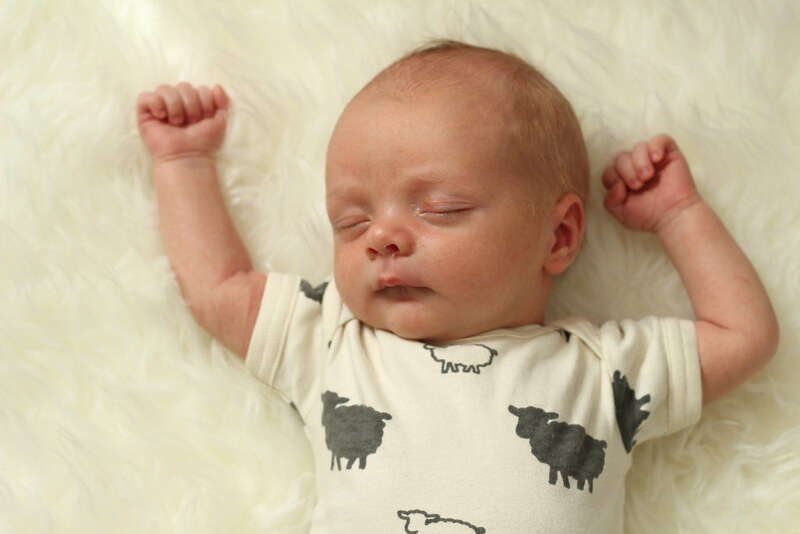 Today, I wanted to share Nolan's birth story (as I documented it for him), along with how I felt about this birth and what helped with my recovery this time. You are finally here and you have filled us all with so much love and joy, it's almost unbelievable. While it is still fresh in my mind, I want to share with you the story of your birth. Thursday started out very much like any other day we had, had recently. I woke up and felt a little sad and discouraged that my body seemed to be making little to no progress on delivering you to us (I actually read this article the day before and teared up a little, afraid I may be induced and miss this whole home birth experience). I shared this feeling with both your Daddy and Grandma, but tried my best to stay positive. Grandma and I took Halle to the park, came home for lunch and then I was meant to get on a phone call, but it never happened. Instead, I took a nap (I was feeling more exhausted than usual), then ran a few errands to pick up some things for dinner. When I got home, I took the rest of the afternoon to cuddle on the couch with your sister and watch some of her favourite shows. I texted with a few friends about how sore and crampy I was feeling that day, but it was pretty on and off so I didn't expect it to mean too much. We all ate a quick dinner after Daddy got home from work and then headed to his softball game. We loved cheering him on and I spoke with just about everyone on the team about how anxious I was for you to arrive. By the time we left the ball field for home, it was nearing 8:30, and I was feeling very crampy and getting quite a few intense Braxton Hicks. We arrived home just before 9, and while Daddy gave Halle a bedtime snack, I let the dogs out and used the washroom. I felt like the cramps weren't easing up at all, so I told Daddy to inflate the birthing tub again (it had a slow leak) just incase, and then sent a message to my Doula Kim to let her know what was happening. After giving her a heads up, I took one sip of the tea Grandma had made me and my water broke right on the kitchen floor. Your sister exclaimed, "Dada, Mama pee'd on the kitchen floor!". Grandma and I laughed and explained to her what had happened, letting her know that you were going to be born. She was so excited, she started to dance around and thank me. This was all happening around 9:10 and Daddy started to fill the birthing tub and get Halle ready to go to a friends for the night, while I updated Kim and Grandma started timing my contractions. We noticed right away that they were coming every three minutes and lasting about a minute each, growing in intensity with each one. Daddy paged the midwife on call, who said I was in active labour, so she would finish up a few things and be right over. We continued timing my contractions, which just continued to come closer together and get stronger. Within 20 minutes Daddy called the midwife back and told her they were now two minutes apart and very strong, so she said she would be right up. I climbed into the birth tub, and the midwife and Kim arrived just before 10 - at which point, I already felt the urge to push. Erin (the midwife) told me to do my best to breathe through my contractions while we waited on the second midwife to arrive. When Erin was done setting up she checked your heartbeat and noticed it had dropped, so she started to get me to move around to different positions to see if we could get it to recover. I continued to push as we tried to get your heartbeat back up, but it wasn't working. The only position that worked was me standing, and I did not have the strength or energy to do that. The midwives didn't like how things were going, so they had Daddy call 911 for back up, while one of the midwives called the hospital to let them know we would be coming in. Of course my top priority at this point was to deliver you safely (and quickly), so I continued pushing, hoping I could deliver you before we had to transfer to the hospital. I heard the paramedics arrive (apparently there were two ambulances that responded), and heard them discussing with your Dad the best way to get me down the stairs and into the ambulance. Then I heard Erin tell someone to get me a housecoat and tell me we had to go... so I pushed... and pushed, even without contractions, and at 10:48pm you entered the world, screaming and crying and letting everyone know that you were just fine. In that moment, we were all so happy. The midwives checked you out and were pleased with all of your vitals and with how I was doing, so they sent the paramedics on their way (who had been discussing with your father, his fine craftsmanship of our dining room table and light fixture) and then called the hospital to tell them we were safe and would not be transferring after all. I spent a long time cuddling you on the couch, talking quietly with Daddy, Grandma and Kim (check out this article on the benefits of an undisturbed first hour - worth including in your birth plan, no matter where you are delivering), while the midwives worked quietly to care for us and then gave us lots of quiet time. After you were weighed and measured, I cleaned up in the shower, while Daddy and Grandma got some cuddle time with you. Your Daddy and I were so thrilled to be safe and comfortable at home with you. I loved being able to climb into our own bed, have something to eat and keep you nearby, in this house that we will raise you in. We didn't have to endure a long or uncomfortable hospital stay (though the hospital you would've been born in, is very nice!! 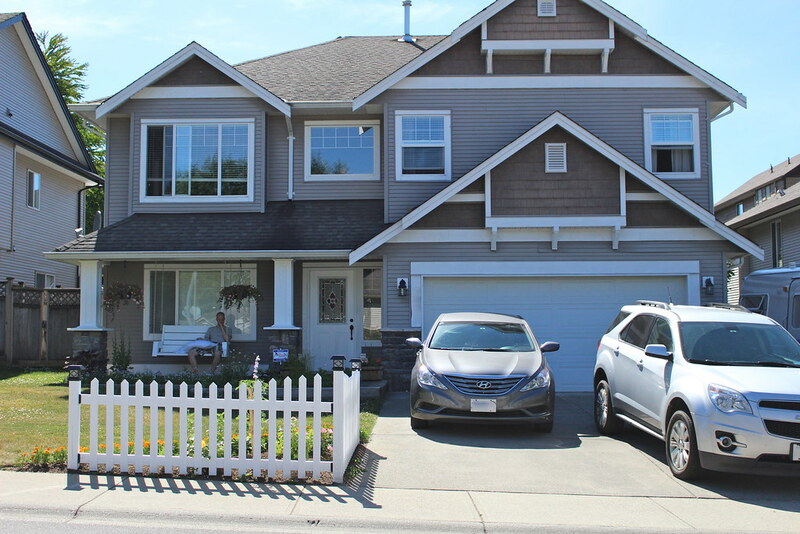 ), we got to eat all of our own food at home (like chocolate chip pancakes the morning after you were born) and there were no uncomfortable car rides to the hospital and back (getting there before I delivered you may have been a bit dicey). Halle went to stay with good friends for the night, but she was able to come home to us bright and early the next day, anxious to meet you. Right away she told me how cute you were and she hasn't been able to stop talking about you, holding you, kissing you, helping with everything and always being the best at calming you down. 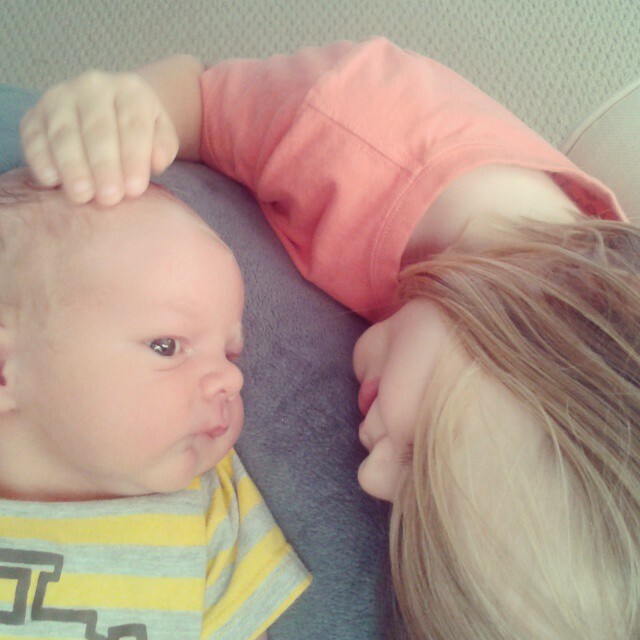 It's made us so happy to see her fill the role of big sister so wonderfully. I wrote more to him, in the journal that I keep for him, but that is all that I wrote in regards to his birth. 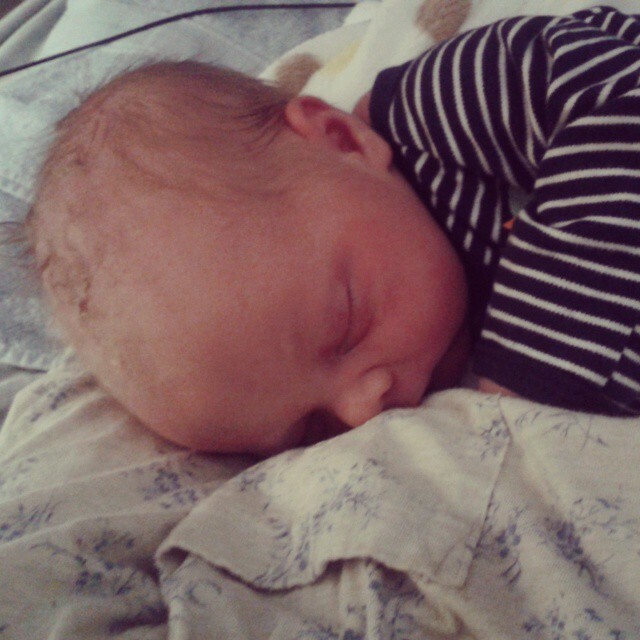 I found for the few days after Nolan was born, I just sat back and reflected on his birth with a smile on my face. Despite his heart rate dropping, I was so pleased with how his birth went. Thrilled that his date and time of arrival were a complete surprise (I was induced with Halle, so I was not as lucky) and that it was quick and I needed no drugs - only my body, some positive affirmations that I repeated to myself and my wonderful group of support people. He was not born in the tub as I had hoped, but he was born at home, safely and into my arms, surrounded by people that I knew and trusted (plus 4 paramedics in the background). I did a lot to prepare for his birth, though of course I can't say exactly what contributed to my quick labour. I drank Red Raspberry Leaf tea, attended prenatal yoga for a number of months, and did a lot of reading and research on natural child birth and home birth. My reading and research helped so much to prepare me mentally for everything, and if nothing else, I highly recommend doing at least the last part. I never researched with Halle, and I wish I had educated myself more. As for recovery, having a birth I was happy with helped and so did being at home. Of course, not everyone will have these in their back pockets. One thing I want to really stress is physical care. Rest, hydrate, have healthy food and snacks ready (both for the hospital and at home - I had a bunch of these baked up and frozen for an easy to grab breakfast or snack and I love them) and if you can - make these pads! I had the same kind of tearing this time around, as I did with Halle, but I found I healed much more quickly using these wonderful, frozen healing pads. I also had some extra witch hazel that I added to my peri bottle. Within a couple of days climbing in and out of bed and walking came much easier. We're struggling a bit more this time around with nursing. I think my supply is low, so we're spending a lot of time trying to boost it back up, so that he can gain some weight. Other than that, life seems to be moving along nicely for us and we are thrilled to finally be a family of 4! 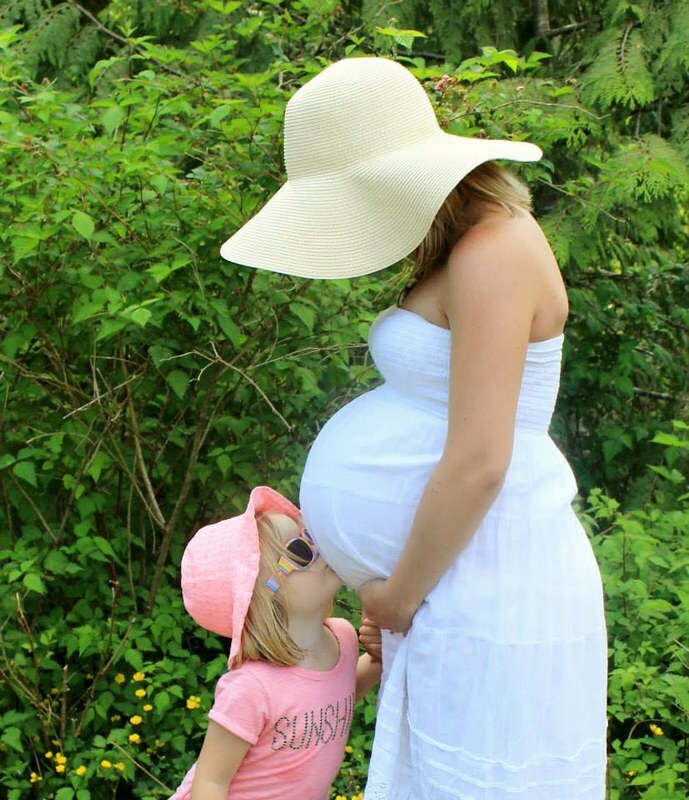 Have you ever had or are you considering a home birth? I'd love to hear from other's about their birth stories, whether at home or in the hospital. Each of us has such a unique story for how we came into this world.